It is a sad truth that many car owners will understand car detailing to mean giving the car a good wash. 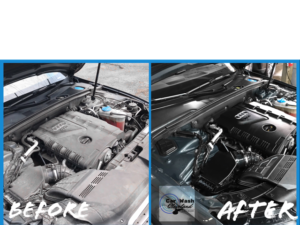 Experts and car enthusiasts, however know that there is a big difference between the two and understand the importance of carrying out car detailing every once in a while. Lets first get the car washing out of the way, a car wash is simply getting rid of dirt from the car. If you are washing the interior, you will vacuum, dust and wash to leave the car looking clean and hygienic. Car detailing is all that and more. Interior car detailing is the entire process of giving a car a thorough cleaning, restoration and finishing of the inside of the car to give it a look that would be associated with a car in a show room. Quite often if you are trying to sell your car, it is advised that you carry out detailing so that the car looks like it is new and can attract buyers with the top dollar that you would want for your car. Just like the word “detailing” implies, you need to pay attention to the details, even the smallest one of them, the mirror needs to be crystal clear, scratches should be removed, leather chairs should get special care to give them a new look, no wires from the recently installed audio system should be left exposed, and by all means, the car interior should smell fresh. This is a part that may be forgotten often during detailing or some people may just choose to leave it out. The engine however is part of the interior, and when carrying out a detailing job, this should be part of it. You will find that your mechanic is a lot happier working on your car if the engine has been cleaned, and it is also easier to see what may be wrong with the engine if it is nice and clean. 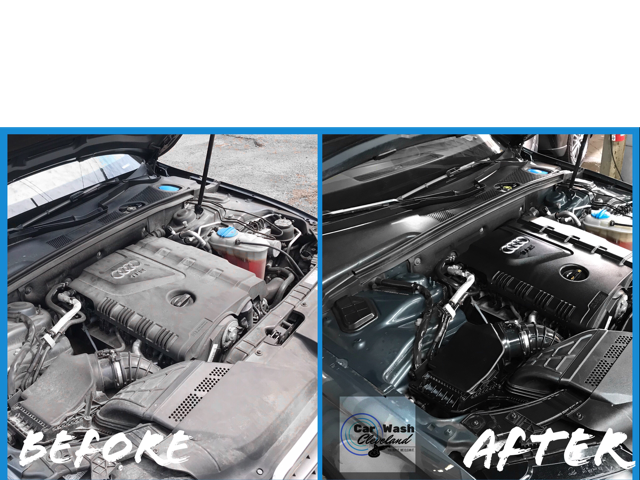 Remember, that if you are trying to sell your car, it is important to carry out interior and exterior detailing so an engine is one of the parts a person is going to check and a clean engine will give a better impression that the vehicle is in good condition. It is important though, that you have this professionally done to avoid sensitive components being affected by water. 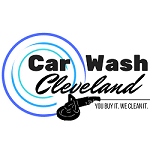 A good car interior detailing in Cleveland would know what to cover up as they do the cleaning. Different cars may vary in the amount of time it will take to have them detailed. A minimum estimate could be 30 minutes while a maximum estimate could be an entire day, it depends on the condition of the vehicle interior and how much has to be done. If you do interior detailing often, it should not take too long while if you have never had the interior detailed since you bought the car when you were in college, you may be looking at even more than the entire day. Experts recommend interior detailing about every after 4 months or six months. This would translate to getting the interior detailed about 3 times in a year. If you have kids and they mess up the car often, you may need to do it a few more times that a car enthusiast who even prohibits licking a lollipop in his car. Detailing a car saves money since it maintains the appearance of parts of the interior that could very easily end up needing replacement if they are not well looked after. So, you are hopefully sold on the idea and you would like to get interior car detailing done. Well the price will depend on how much needs to be done. You could spend anywhere from 50 dollars to slightly over 100. You can look up interior car detailing and get a quote.